Both the payor and the recipient of child support have the right to request a review of an existing support order for possible upward or downward modification. 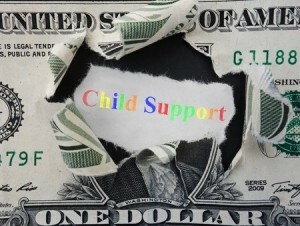 A Florida court order for child support may be modified if there has been a significant change in circumstances. Child support ordered by the court can be changed by the court if one parent can show there has been a “real, substantial, and unanticipated change of circumstances” since the last child support order was issued. Modification of child support order must be approved by the court. If parents agree to change the support, the change does not legally take effect until the court has approved it. For instance, suppose a parent who is obligated to pay support gets laid off and both parents agree informally to reduce the child support. Suppose later, the parents have a falling out, and the parent who is entitled to support decides that the child support order should be enforced. If this issue is brought to the court, the judge or magistrate has to enforce the child support order as written, i.e. the higher amount, regardless of the informal agreement, and order repayment of all back support based upon the written order and not your informal agreement. The court cannot change a support order unless and until a petition is filed in writing. If the modification is granted, the court has discretion to change the support back to the date of filing. The court cannot make the modification effective before the filing date of the petition. Therefore, it is important to file as soon as possible. Until the child support order is modified by subsequent order, the original order remains in effect.